These 20th Century Russian ruby cut glass vases are exquisitely crafted, possibly inspired by the work of St Petersburg's Imperial Glass Factory. 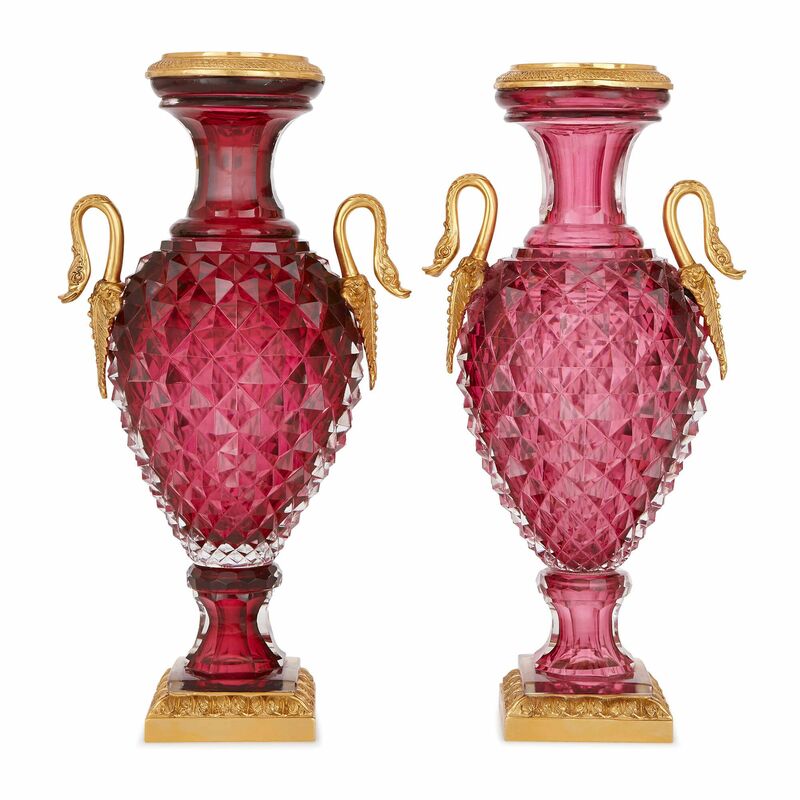 These beautiful Russian vases are made from ruby glass and finished with ormolu bases, handles and tops. 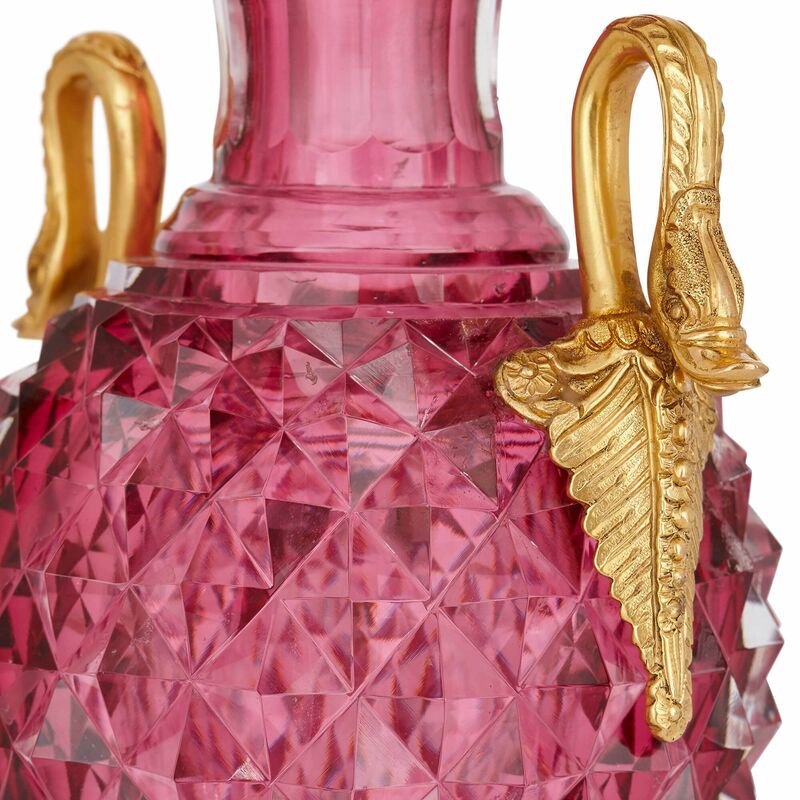 The form of the vases is classically inspired, loosely modelled on the Greek amphora. On each, the base is ornamented with acanthus leaves, with a similar leafy design around the rim of the top, and the handles take the form of swans with their necks arched. 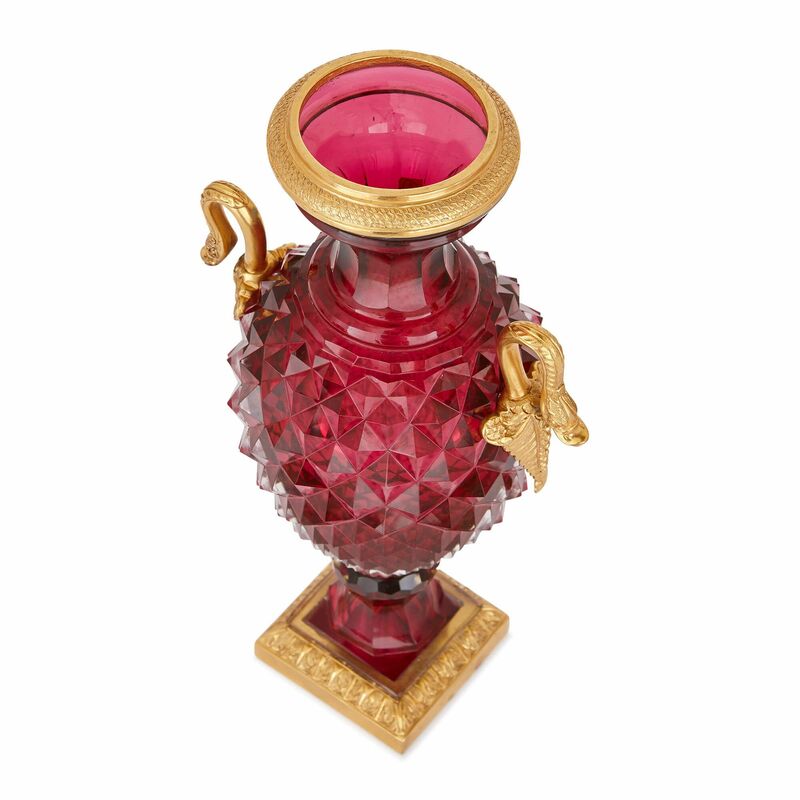 'Gold Ruby' or cranberry glass, as it is called, is created by adding large quantities of gold to the molten glass, which is then used to create the object. The process results in a strong red colour that is full of light, like a ruby. 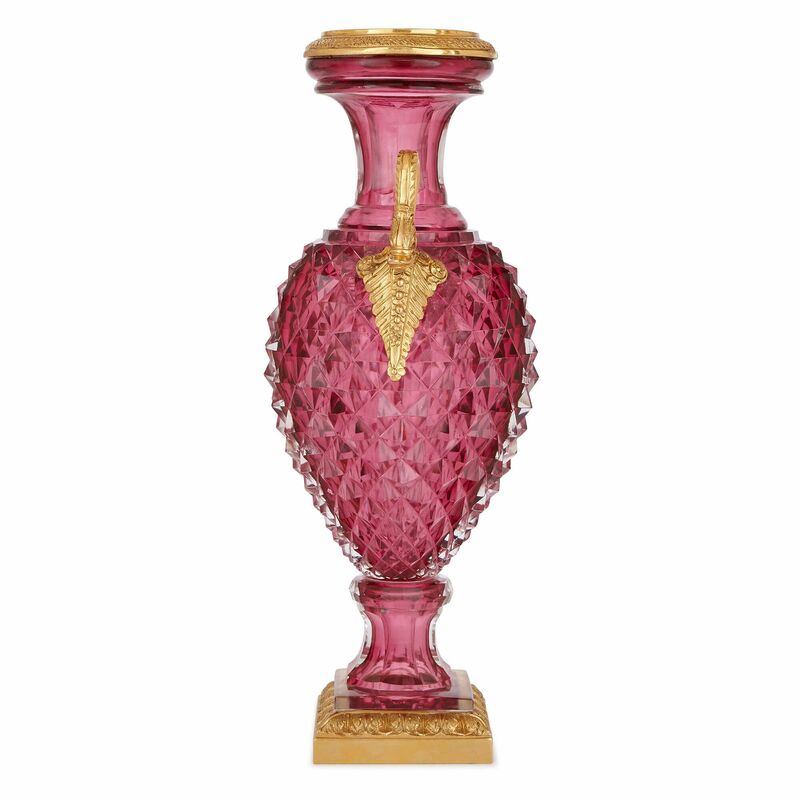 The glass on the main body of the vases has been cut into a series of facets which further capture and manipulate the light in beautiful ways. 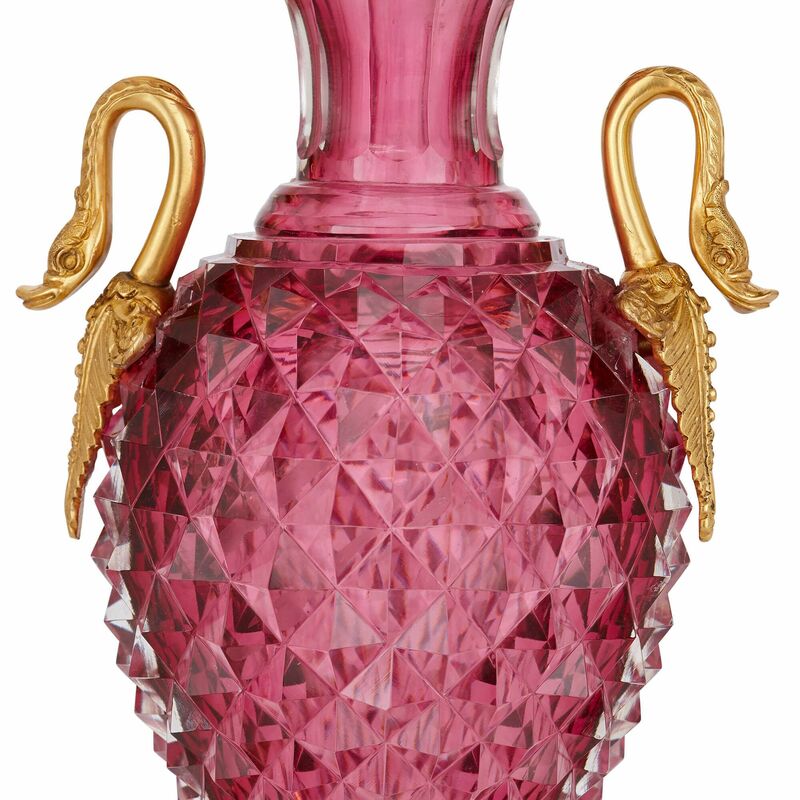 The vases were created in Russia in the 20th Century, perhaps inspired by the style of glass produced in the Imperial Glass Factory in St. Petersburg. 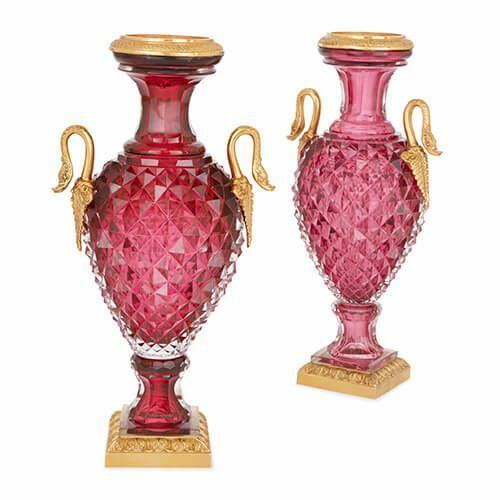 These ruby cut glass vases would look wonderful in a low-lit living room, or in any other well-designed space.